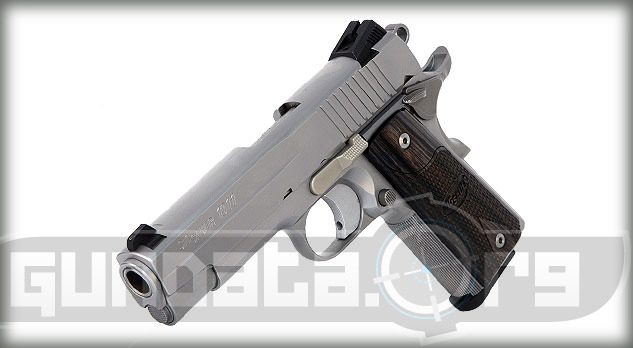 The Sig Sauer 1911 Stainless Carry is a medium framed, semi-automatic handgun designed for self-defense, along with conceal and carry purposes. 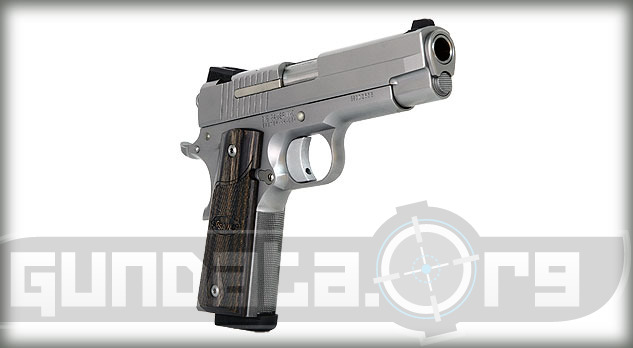 It is based off the Granite Series Rail that was renamed to Revolution series after they added non-rail models, and eventually changed to Sig's 1911 model versions of John Brownings Classic handgun. 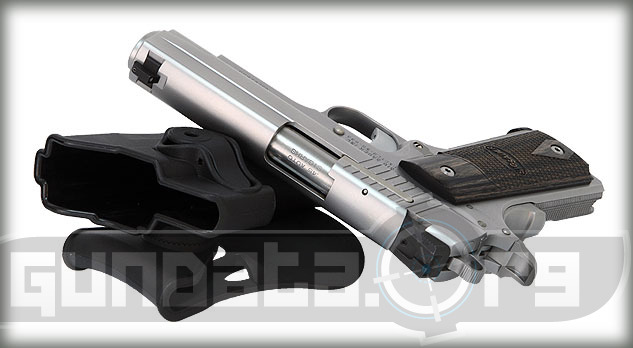 The 1911 Stainless carry has a match grade barrel, hammer, along with a trigger. The frame and slide have been dehorned to help ensure it does not catch on any material or clothing when it is being pulled out of concealment for use. The overall length of the 1911 Stainless Carry is 7.7-inches, with a height of 5.5-inches, and a barrel length of 4.2-inches. The slide material is made from stainless steel, and features a stainless steel finish. The frame material is made from stainless steel, and features a stainless steel finish. The grips are custom gray diamond wood, with 25-line per inch front strap checkering. The magazine holds 8-rounds of .45 ACP ammunition. 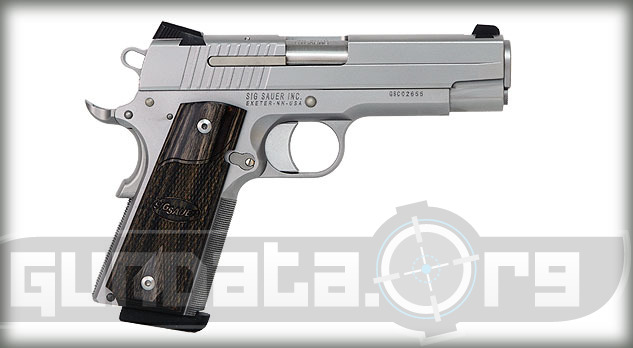 The trigger pull is approximately 5-pounds on the single action trigger. The sights are low profile 3 white dot night sights.